After hearing this book quoted regarding “cheap grace” so often (even by Swindoll on Grace) I decided I wanted to read it cover to cover and see for myself (I used it in this month’s article). I would say that more people who quote it should read it. 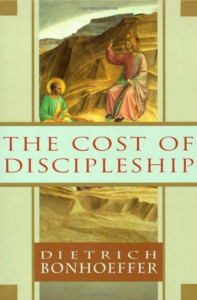 I enjoyed its unique context and viewpoint on discipleship. Some points of theology are not for the beginning reader.